Thandulula is a brainchild of Hans, my husband and myself and we are extremely proud to present this establishment to the hospitality industry. Thandulula was established in 2003 as a child and family friendly holiday destination. The name Thandulula which means “UNWIND” was eventually found in a small English/Zulu pocket dictionary in the late hours of one April night in 2003. It is owner built with great care, constant planning, engaging with all local authorities. 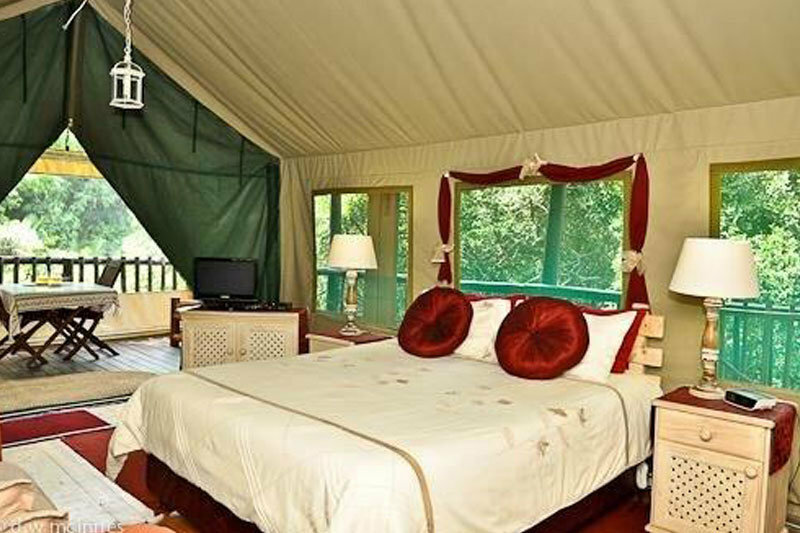 Environmental input was sourced, no trees were disturbed or un-rooted therefore, guests often refer to our tents as “the tree house by the sea”. Thandulula is owner operated. Personal welcoming of guests, warm-hearted friendliness, great attention to detail, stylish furnishing with a romantic twist, spotlessly clean units, flowing lawns and well-kept gardens contributed to Thandulula’s SUPERIOR grading by AA Travel – a well-deserved award which keeps us on our toes at all times. OR The name THANDULULA can also be entered into GOOGLE MAPS and will bring guests straight to our property. Southport beach 1,5 km flanked by Banana Beach and Umtentweni beaches. Own bathrooms – shower, basin, toilet. Fully equipped kitchen – medium fridge/freezer, microwave, kettle, toaster, tabletop stove, all cooking and eating utensils, basin for washing dishes, paper towel, dishwashing liquid. Linen, blankets, duvets, electric blankets on beds, bath towels. Big pedestal fans, small oil heaters. Flat screen TV’s with SABC 1, 2, 3 and eTV. Decoder facility so guests can bring their own. Amenities like shampoo, soap, shower caps, shower gel, dispenser with hand-washing liquid, sanitary bags, toilet paper. Undercover deck areas with deck chairs per person and wooden table and chairs. Each tent has its own braai place. April and December school holidays. Daily cleaning service of the tent. Daily cleaning of the braai area. Good quality camping cots with mattresses, linen, and blankets for babies. Safe environment with remote control access. Panic button system in each tent connected to our security company. Guests receive THE SOUTHERN EXPLORER free of charge – this is our Route Guide to explore our whole region – very effective and user-friendly. In each tent, guests will find a good quality ring-folder with a lot of information on our region like hospitals, medical doctors, dentists, chemists, shopping malls, restaurants, fishing charters, shark cage diving, wild waves entertainment center for young and old and much, much more – This folder is apart from The Southern Explorer Route Guide. Free Wi-Fi in the office/reception area for a limited time. Splash pool with adjacent lapa seating about 20 guests. 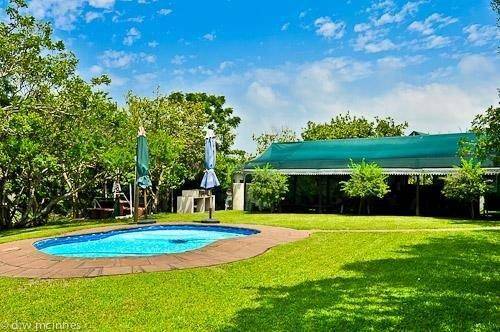 A fully equipped kitchen, big braai area, ablution facilities, games for children. A small sandpit and toys, as well as a small jungle gym. Their clothes and OWN BEACH TOWELS. Comfortable shoes/boots should they want to do hiking trails. NO RESTAURANT ON SITE as all our tents are self-catering. There are several excellent restaurants nearby – only 5 to 10 minutes drive from us. A list with telephone numbers and directions are in the ring-folder in each tent.